Our readers are our writers! Use our unique travel voucher system to discount your next flight. Travel vouchers my be earned by emailing us a writeup of your flight with Emirates. 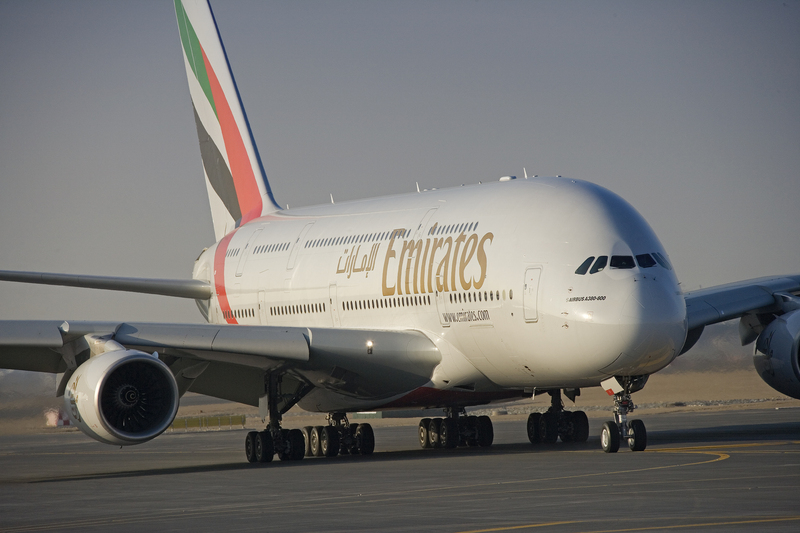 Emirates operates daily flights from Harare to Dubai via Lusaka. As the crow flies, it is 403km from Harare to Lusaka and 5355km from Lusaka to Dubai. Emirates Harare flights are rated 1/5 based on 1 customer review. 8 May 2013. It's announced that on 15 April 2013 Paulos Legesse was appointed as Emirates' Zimbabwean country manager - he previously served as Emirates' Nigerian country manager. Paulos is in charge of sales & services for cargo, passenger & airports. "Emirates is the airline of choice for travellers from Zimbabwe and elsewhere. The airline enjoys a well-established reputation for its superior customer service, both in the air and on the ground. I shall strive to take the airline even further and ensure that we spare no efforts in providing Emirates passengers with unsurpassed levels of service," said Legesse. 5 May 2013. "Harare could be an interesting hub in future. From Harare you are close to destinations such as Mozambique. You are not far from Botswana, Namibia. There is real geographic potential of improving the development of the route. The market is growing fast." said Emirates' VP Africa, Jean-Luc Grillet. 26 Apr 2013. Emirates opens up a ticketing and sales office in Harare. “The official opening of our Harare sales office comes just over a year since we launched our flights from Harare to Dubai. This is a testament to the confidence that Emirates has in the growth of Zimbabwe’s economy...The new office will enable us to provide our valued customers in Harare with the high standards of service, and superior product and facilities that they have come to expect from Emirates.” Mr Jean Luc Grillet, Emirates' senior VP of commercial operations in Africa. 1 Mar 2013. The Emirate of Ras Al Khaimar of the UAE & Zimbabwe sign an MoU to cooperate in 6 areas: tourism, agriculture, industry & commerce, mining, energy & health. 1 Feb 2013. The A330-200 being used on the HRE-DXB route is replaced with the larger B777-300ER. "Our Lusaka and Harare service has come of age and with demand continuing to increase, this is the right time for Emirates to be expanding its capacity. With the introduction of this larger aircraft, we will offer almost 5,000 seats total every week on the route between Dubai, Lusaka and Harare. Emirates constantly strives to deliver its passengers with the very best service. The Boeing 777-300ER aircraft forms the backbone of Emirates’ fleet, and its introduction on the Lusaka and Harare route reflects our commitment to quality". said Emirates’ Senior Vice President Commercial Operations for Africa, Jean Luc Grillet. 21 Oct 2012. An Emirates flight from Harare makes an emergency landing at Kenneth Kaunda International Airport, after a mid-air engine failure. 1 Oct 2012. Emirates increases its HRE-DXB frequency to daily flights (i.e. from 5 a week to 7 a week). 1 Feb 2012. Launch of HRE-DXB flights. on weekdays. The aircraft being used are Airbus A330-200 planes. “Zambia and Zimbabwe are both important emerging business and industrial centres, with economies that are projected to grow by over five per cent annually during the coming years. Emirates’ new service will play a significant role in supporting this growth by connecting Lusaka and Harare to our worldwide network, opening new conduits for trade, investment and tourism.” said Emirates' Nabil Sultan. “The arrival of Emirates to Zimbabwe is a very significant development for the market. We welcome the entrance of a truly global airline; with an extensive network, large fleet and great reputation for quality service which will greatly improve choice and connectivity for Zimbabwean travellers.” said Nicholas Goche, Zimbabwean Minister of Transport. It would be one epic trip to instead drive from Harare to Dubai, taking some 237 hours to drive 16,828km! You'd drive through Zambia, the Congo, Gabon, Nigeria, Niger, Algeria, Tunisia, Italy, Greece, Turkey, Syria, Iraq and Saudi Arabia. We suggest flying!